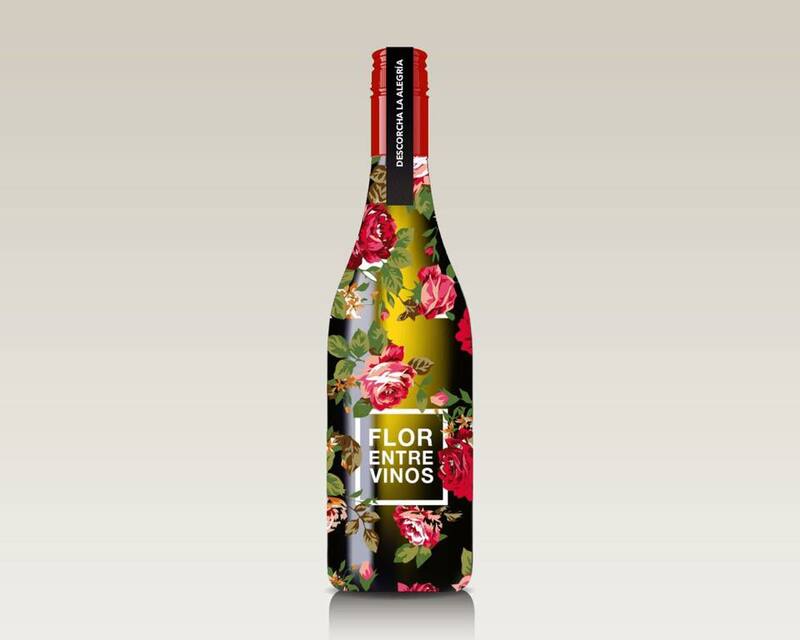 Flor Entre Vinos, translated to English as Flower Between Wines, is a Spanish wine label that I had the pleasure of designing, and which has since enjoyed great success. Eduardo Alonso, the owner of wine label, wanted a complete redesign of his Verdejo grape variety's white wine. Eduardo wanted something fresh and eye-catching to stand out amongst the other, more classic labels. Roses are one of the most aromatic flowers, and they were used in the design to evoke a feeling of freshness to the product.